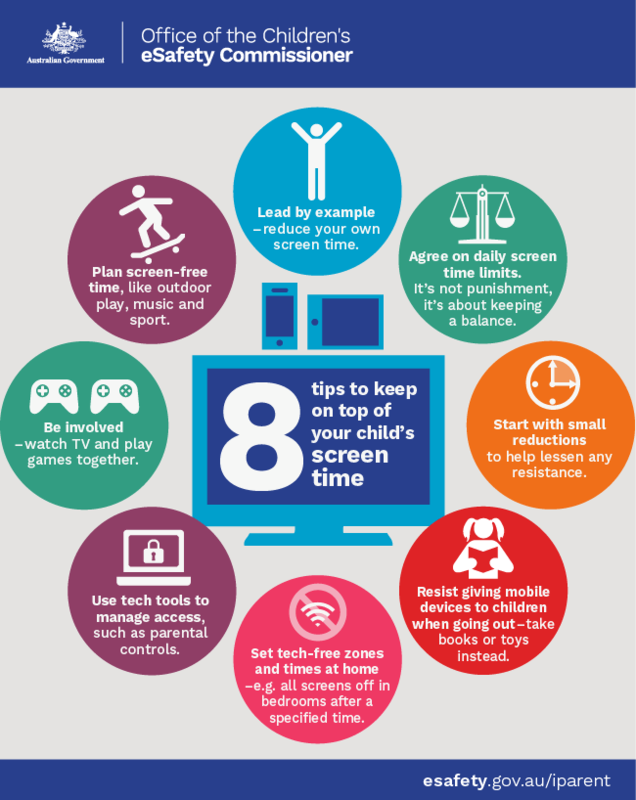 There are many ways you can help your child maintain a healthy balance between online and offline activities for the benefit of their health and wellbeing. The iParent initiative offers helpful advice for parents through the Office of the eSafety Commissioner. Check out the following articles for some practical tips and guidelines: Managing online time and How much is too much?